Python is a strongly object-oriented language and is becoming increasingly popular over the years. Lots of projects continuously emerge which size and complexity make them much more than just a bunch of scripts. Such projects make extensive usage of OOP, defining their own classes and potentially dealing with multiple inheritance, mixins, ABCs, etc. At some point, the need for customization of these classes appears by design. 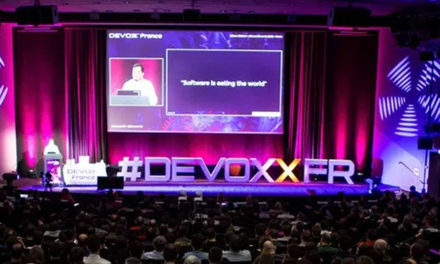 Indeed, imagine for example that you want to write a library, because it either simplifies developments in a project of yours or would provide rich features to any external user who would import them in their own project. Libraries relying on OOP will to provide their APIs through class handlings. Very well, but as the developer of such a library, how could you take the code written by a user as input data to proceed with your own treatments? Several answers might be appropriate according to what needs to be done precisely, but we present here the most flexible solution, which is also the most difficult to implement: metaclasses. Just like any Python developer, one of the first things I was told when starting to learn the language is that “in Python, everything is an object”. It is also true for classes. But since objects are instances of classes, if classes are objects themselves, they must be instances of something else, right? This other thing is what is called a metaclass. Literally, a metaclass is a class of a class. And the answer is… type. Yes, in Python type has two meanings: the one we already knew and a less known one, the naming used for the default metaclass. attributes must be a dictionary containing all the attributes and methods of the class (a method being simply a callable attribute accepting self as its first parameter), with their names as keys. Now, what if you want to intercept this class creation for adding behaviors or data the classes you create? One solution, if not the only one according to the problem you want to solve, is to build a custom metaclass. This is done simply by inheriting from type. As you can see, the arguments are pretty much the same as what we saw in the previous section. They will be passed with relevant values automatically whenever a class using this metaclass is interpreted. type.__new__ is the factory we need in this context to actually build the class object, but any modification of its arguments can be done before calling it. Similarly, it is possible to post-process the class object before returning it. Now on the caller side, how to make use of such a metaclass? In Python 3, the metaclass is a keyword argument that can be passed at class declaration, after the list of base classes from which to inherit. automatic (hidden) registration to other namespaces or subscription to services. """Store keeping track of singleton instances.""" a construct can provide: class alteration and registration. """Implementing the singleton pattern at class call.""" """Example of a user-defined (client) class that makes use of MyMeta.""" """Showing the memory address of self (proving it is a singleton)."""
. __doc__: Example of a user-defined (client) class that makes use of MyMeta. If we come back to the analogy of a library writer, things are as follows. As the library author, I am responsible for everything written before declaring MyClass. As the library consumer (client), I just write classes like MyClass, making use of all the rest. Some class attributes are reorganized (no addition or alteration in this example) inside custom collections and according to custom criteria. In the final object (MyClass._obj), the attributes a, b, c and d will not be accessible anymore through self immediately, but only in these collections. The original ordering of attribute declarations in MyClass is preserved in the class_attrs argument of MyMeta.__new__ thanks to MyMeta.__prepare__. This allows building the _fields and _constants collections in an ordered way. Note that it does not prevent cls.__dict__ and obj.__dict__ to be ordinary dictionaries, in which this ordering is lost. A singleton pattern is implemented entirely in the metaclass: in MyMeta.__new__, an instance of the class is created at the same time as the class itself; then in MyMeta.__call__, this instance is always returned instead of any really new instance (except for the very first time, i.e. for the call in MyMeta.__new__). Each singleton instance is registered in a global store of client instances, which could be consumed by any third-party service for example. A metaclass is essentially a class like all those we know. Ultimately, this means that you can define inside it all methods you would implement ordinarily: __init__, __call__, __repr__, operator overloadings, etc. What you can achieve with this remains sometimes vague. For instance with __init__ and __call__ (and maybe a few others, like __repr__ or __str__ for instance which could used for logging): the latter is already used in our example to intercept the creation a new initialized instance and return a singleton instead, while the first could be used to store anything done once the class is created (everything after type.__new__ could have been put in a method MyMeta.__init_). But these are only examples and one could imagine many other uses. Also, metaclasses are inherited. This means that if any class derives from MyClass, its creation path will go through MyMeta as well. 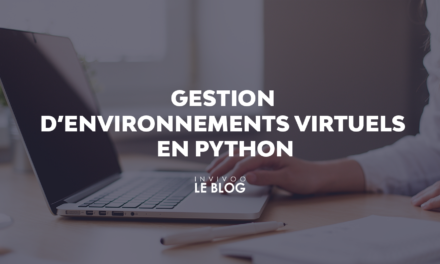 More generally, Python applies some specific rules in order to determine the appropriate metaclass in an inheritance tree. These can be found in the official documentation but won’t be repeated here. Since classes are callable objects, the mechanism of decorators as we know it for functions can be applied to them identically. 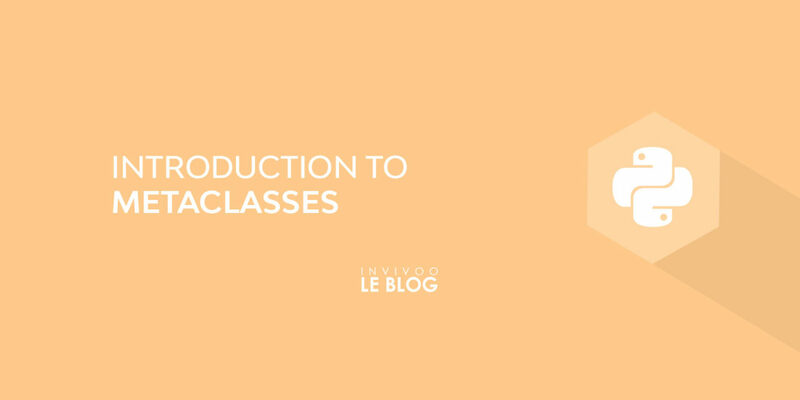 As a result, a class decorator is simply a function or a class taking a class in input and returning it modified in output, for instance by applying some monkey patching to it. This one is a recent feature added in Python 3.6 (see PEP 487). It is a hook that can be defined in any class from which other ones inherit. When a child class is instantiated, this method is called from the parent with this child class in arguments. Then we can modify its content it at will, just like we would do otherwise with a class decorator or a metaclass. This solution is just much simpler to implement. Metaclasses are deeper magic that 99% of users should never worry about. If you wonder whether you need them, you don’t (the people who actually need them know with certainty that they need them, and don’t need an explanation about why). From Tim Peters, Python guru and author of PEP 20 (The Zen of Python). This complexity indeed should encourage developers to favor alternative solutions, like those we briefly cited above. If you don’t think of any other way to achieve something, I hope these lines will help you to get a good start! Au terme d’études consacrées à la physique et aux mathématiques appliquées, sanctionnées par un diplôme d’ingénieur MATMECA en 2007, Robin s’est découvert un goût inattendu pour le développement de logiciels.D’abord développeur Fortran, puis C, puis Python avec un passage par l’Erlang, c’est Python qui est devenu depuis plus de deux ans son langage favori. 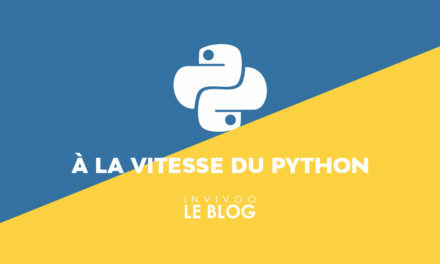 D’abord consultant en industrie, il rejoint INVIVOO en Mai 2018, et son expertise Python deux mois plus tard, en étant attiré à la fois par des sujets techniques riches et par la découverte de la finance de marché.Bien qu’intéressé à la fois par la programmation Web, le Big Data et tout ce qui touche à la finance, son choix actuel est de privilégier une carrière de Data Scientist à moyen terme. Sous réserve d’être séduit par une autre spécialité au cours de son parcours en finance. 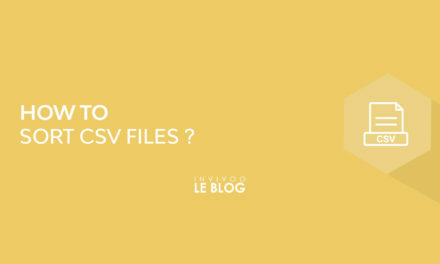 How to sort CSV files?